« 4 Stars – J.C. Burnham is an excellent story teller! A classy Christian thriller with a dark mystery at its heart. One misty night, Dr. Jonathan Marshall Keats encounters a mortally wounded nun who thrusts a baby into his arms as a mysterious blond stranger looks on. After 15 years, that child, Serenity D’Evele, arrives with her nun grandmother at an elite Catholic boarding school in California. But when tragedy strikes, heralded by Serenity’s prophetic dreams and spiritual proclivity, the teenager learns that her bloodline stretches back to Joan of Arc and the prophet Enoch. Furthermore, she may just be a key player in the end of the world. She sets out to discover the truth and protect her friends and family, all the while being tempted by a love that could bring about the Judgment. From its somewhat standard mystery setup, Burnham’s story explodes into a globe-trotting adventure featuring vast conspiracies, secret religious societies, biblical prophesies, angels, demons and other beasts drawn straight from the pages of Catholic and Gnostic religious mythologies. The book is theologically complicated, but Burnham does an excellent job of keeping it from going over the reader’s head. Themes of faith, trust and inner strength make this story more than just an action-adventure tale, though the author sometimes presents those themes more heavy-handedly than best suits them. The lush prose matches the setting and subject matter, and each character, even the minor ones, crackles with conflict and complex motivations. Burnham keeps the reader on the edge of her seat, with each plentiful twist deepening the far-reaching plot. While the dialogue is occasionally stiff and characters’ inner lives, though complex, are often told rather than shown, overall the book is gripping and brimming with life. Religious mystery fans, people suspicious of the Catholic Church and anyone who enjoys supernatural thrillers will welcome this book. 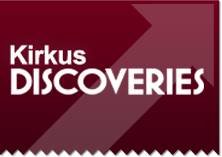 What is so special about receiving a positive Kirkus Discoveries Review? “People in the publishing industry know and respect Kirkus Reviews, which reviews new releases and publishes these reviews for librarians, publishers, booksellers, film producers, and avid readers in general. For the self-published author, the power of the Kirkus name behind his or her book is just as valuable.